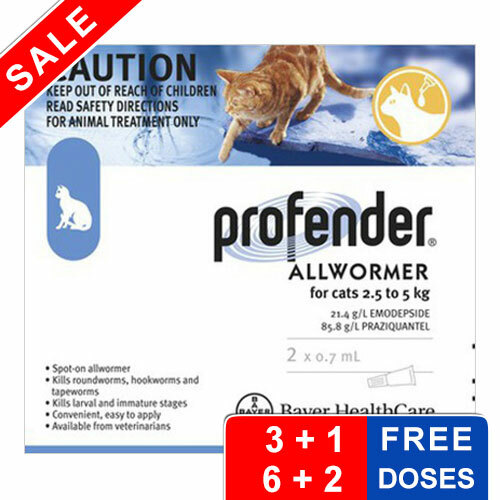 Profender is one of the best deworming treatments for kitties that aids in treating and controlling intestinal parasites like tapeworms, hookworms and roundworms. It is very easy to use and is extremely safe on kitties. Its single dose application protects the cat from different types of intestinal worms. It is recommended for kitties 8 weeks of age and above weighing at least 2.2 lbs. It is an effective treatment for multiple life stages of intestinal worms.